I knew my cough would be affecting my running performance but I just decided to go ahead and still join the race. 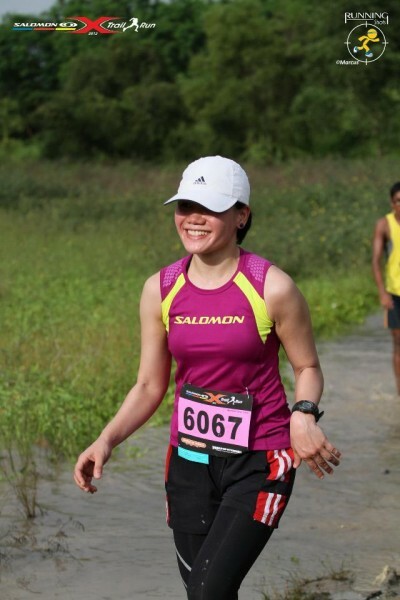 I’ve joined a number of races here in Singapore and the first time I tried Salomon Xtrail, I knew this will become one of my favourites. This is the only event I’ve already joined in twice. 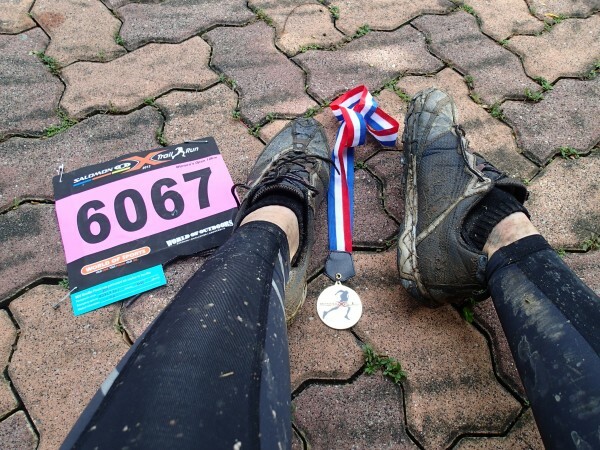 It’s all about mud, dirt, trail, and running…this is basically Salomon X-trail Run. 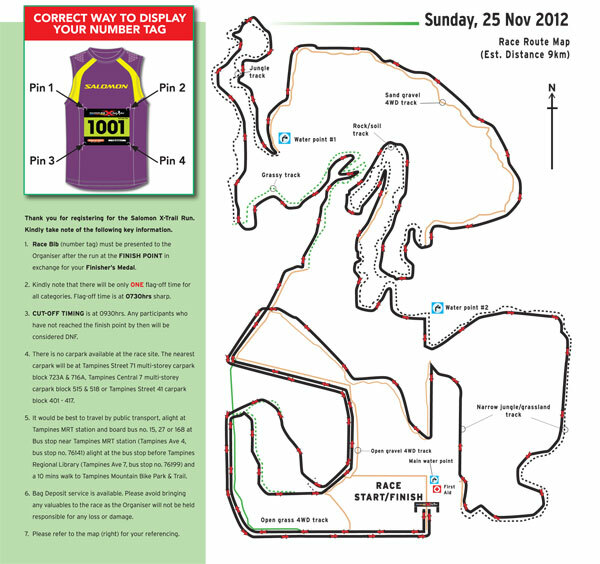 It was held at Tampines Bike Trail, same as last year’s location. Route was slightly different though. I think, this year’s slightly tougher. There were more puddles of mud, gravel, (somewhat) thigh-deep stream that we needed to cross and other different running conditions. Ok. Let’s go back to the race. At one part, there was this one white guy behind me whom I identified as a ‘garbage truck’ (someone who dumps negativity unto other people) because the moment one volunteer cheered us and said “Go.You can do it!!” . He rudely responded “Shut the f* up!”. Ok. I ran as fast as I could to maintain great distance from him. I didn’t want to hear any more from him. I didn’t want to listen to his negativity! 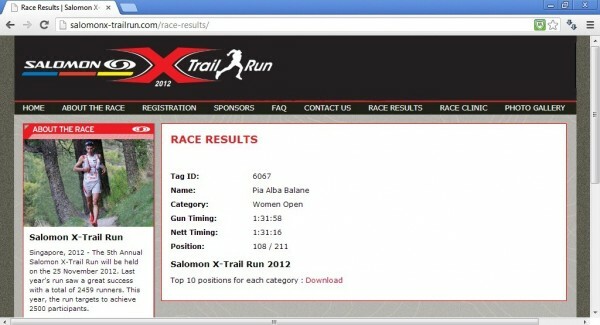 This entry was posted in Uncategorized and tagged happy, runs, trails. Bookmark the permalink.